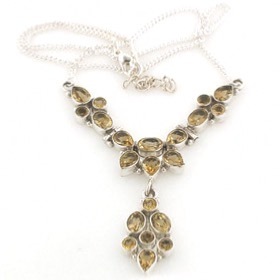 Shop here for citrine necklaces in various styles. 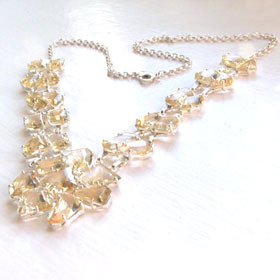 The citrines are all natural - we don't use synthetic crystals or dyed quartz. 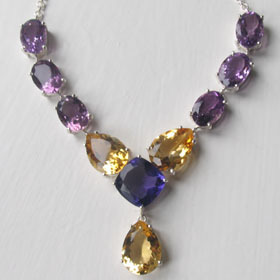 Choose a citrine necklace for November birthday gifts - citrine is the birthstone for November. Natural citrines vary in colour from pale straw to deep brandy shades. 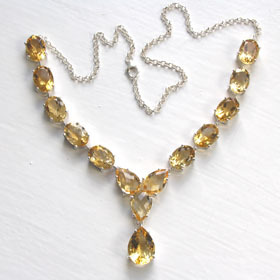 All the citrines in our citrine necklaces are faceted and set in sterling silver. 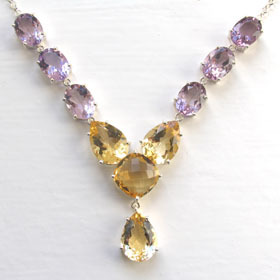 See our citrine pendants for a single stone necklace. 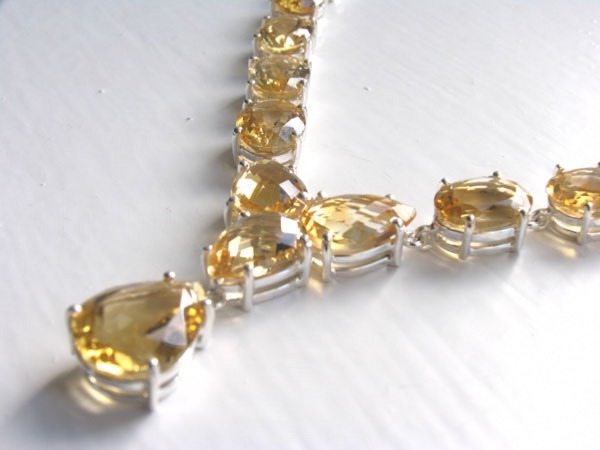 Team up with a pair of citrine earrings and a citrine bracelet.